Delicate jewellery set made from Swarovski pearls and safety pins. Super simple to make! 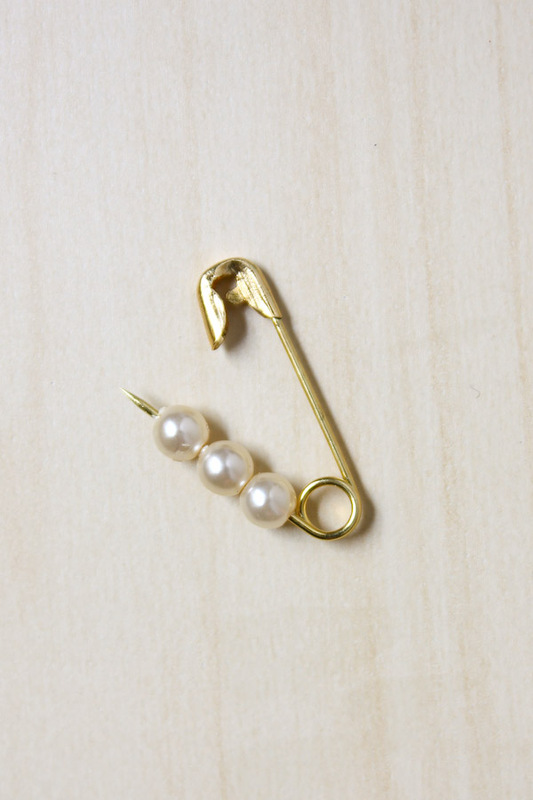 I had noticed designers like Vivienne Westwood, Marc Jacobs and Tom Binns using safety pins fashioned from precious metals in their pieces and the idea to create a simple DIY version popped up in my head. 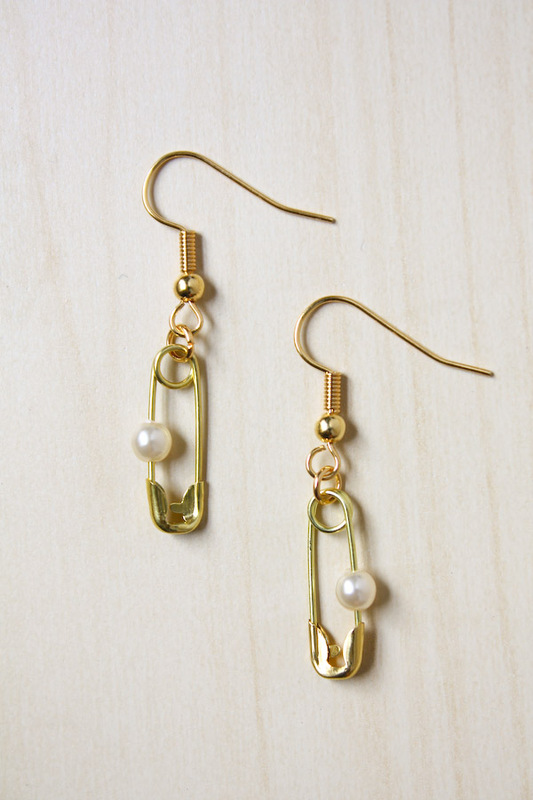 Pearls also seemed to be a recurring trend with designers so why not combine the two! 1.First up the necklace. 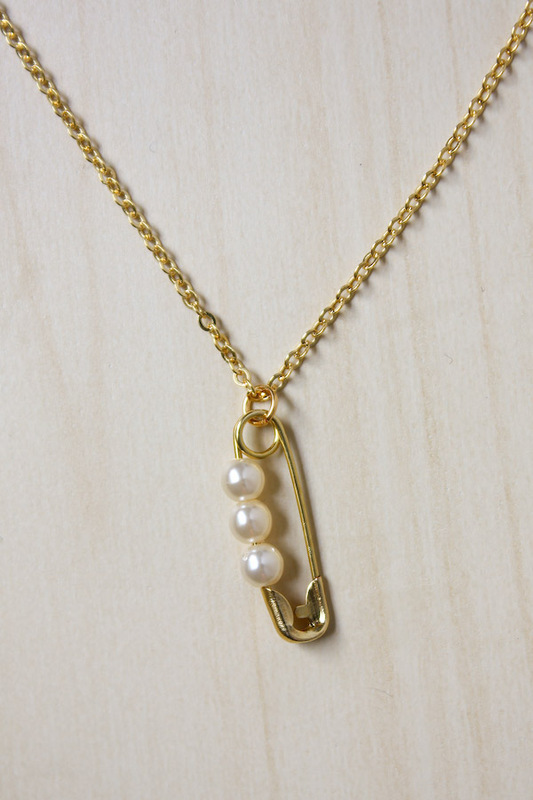 Open up a safety pin. and thread on your beads. 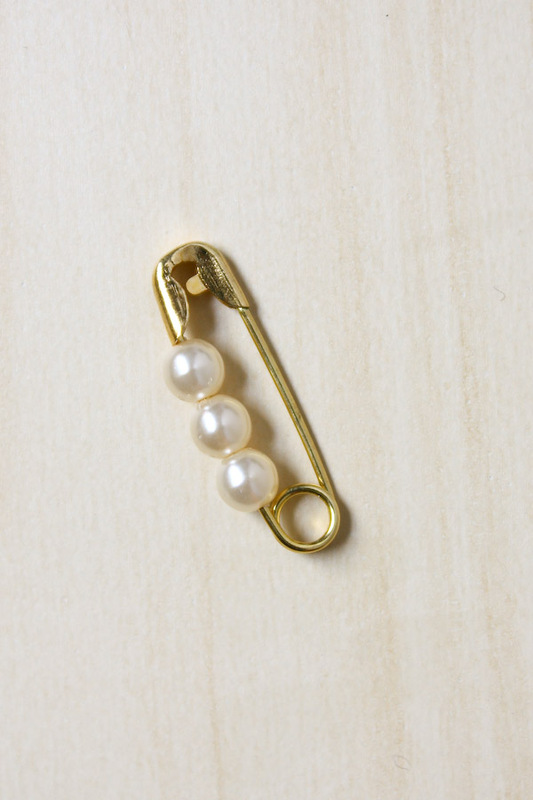 My pins were fairly small (approx 2cm) but I could just fit three 4mm pearls on and still be able to close it up! 3.For the earrings. 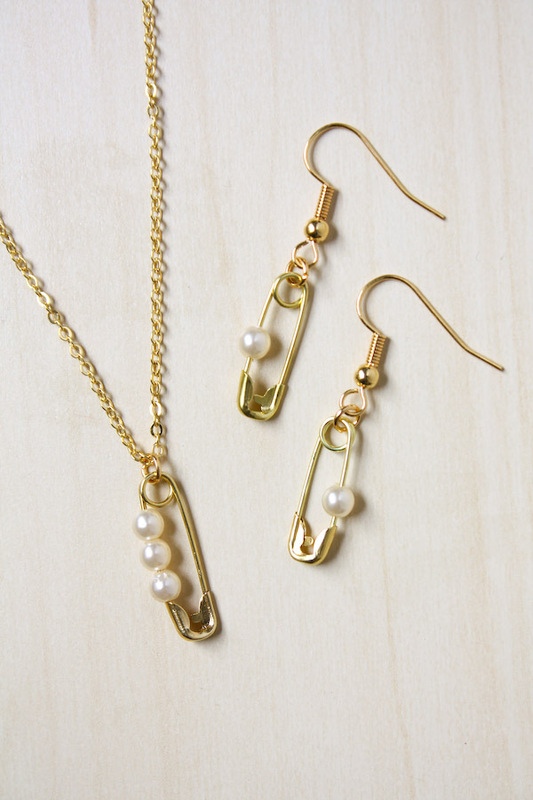 Follow the steps as you did for the necklace, I chose only to have a single 4mm pearl on each earring. 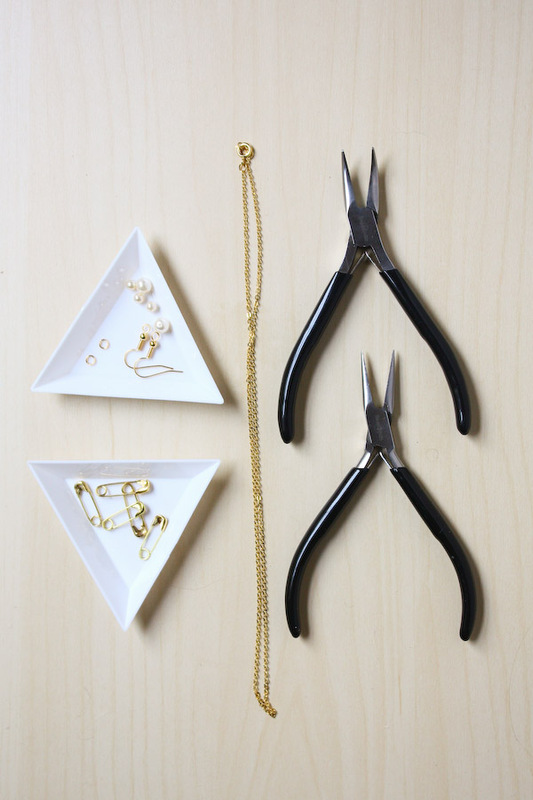 4.Then use jump rings to link the looped ends of the safety pins to the fishhooks. How easy was that? 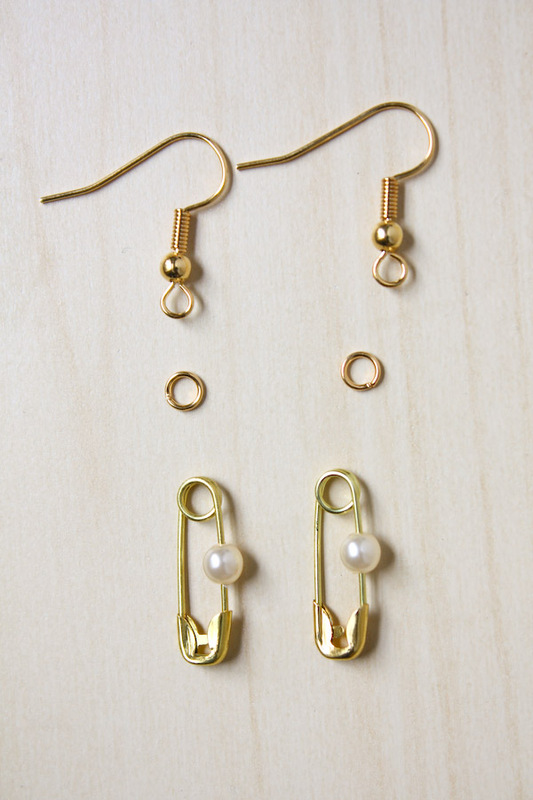 You can use the same idea to make bracelets and brooches too! Let me know if you have any ideas or questions feel free to comment below or message me on Twitter, Instagram or Facebook! Happy Making! ← When Make and Fable went to Blogtacular! I love this idea. I keep forgetting to put an anti racism safety pin on so I might adapt this with rainbow beads for unity. Can’t wait to see whats next. Yes! Then it would work for pride as well! What a clever idea, and so easy to do!